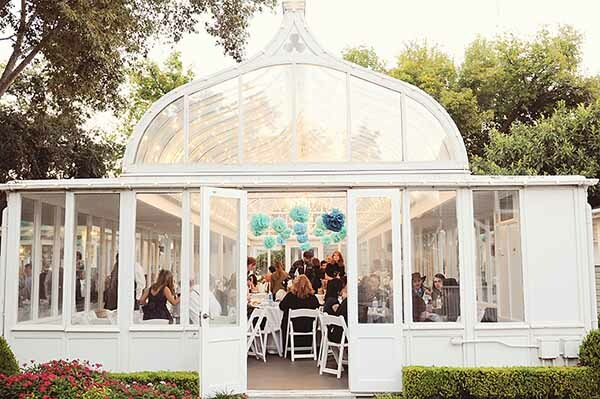 Without a huge budget for her wedding, but with a certain level of quality in mind, Houston PS fan Kristina and her husband knew just where to go for quality, accessibility, and the perfect color palette. 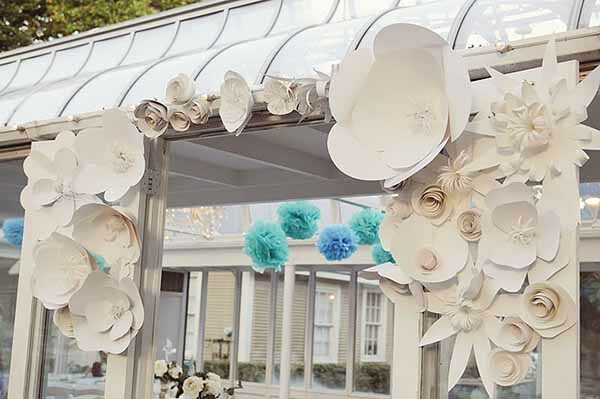 With a hand from PS, a lovely bridesmaid, and creativity, Kristina found the essentials she needed for her Paper & Pool themed wedding. When it was time to start our wedding budget I knew we had to really save money and do the whole wedding with paper. One, I am a huge paper fan, and two, it was something that seemed to fit our personalities and theme. I have always loved the pool color from Paper Source so we went and bought all of the components of what we needed for our day. I didn’t go in with a real plan. All I knew I wanted was pinwheels!! Kristina wanted a light and organic environment for her Houston wedding. Wedding invitations and Save the Dates where chosen from Pool, Soft White, Shimmer Silver, and to tie it all together, Paper Bag. To add detail, Kristina bought a PS stamp and embossed the corners of cards and wedding envelopes. The actual reception was all paper. When you walked into the reception area you were greeted by these amazing HUGE white flowers, which my best friend, who was my bridesmaid, made out of poster paper! 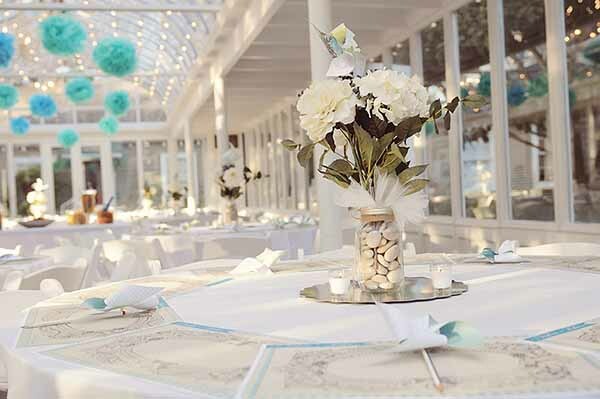 The ceilings were draped with paper pom poms, the tables had paper placemats, and pin wheels made out of 12 x 12 scrapbook paper with embossed stamp textures added some shimmer. We also printed our names on small paper bags to use for the candy station. Our programs were made with the same paper as our invites, and we sewed spines in to add a little DIY touch! 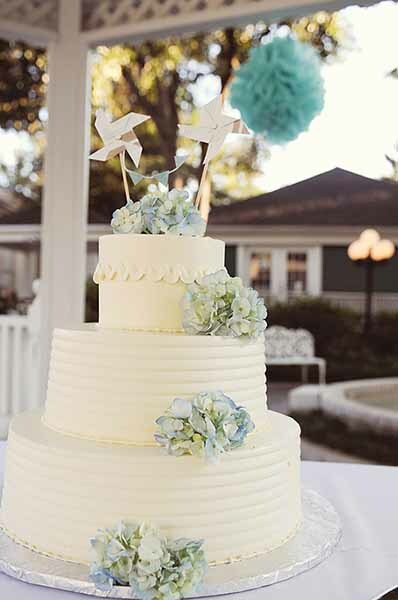 And I even made my own cake topper! Thank you Paper Source Highland Village – for making me an embossing fanatic and helping inspire me to use different textures and styles! We’re so proud to know that we could help Kristina fulfill her dream of an extraordinary Houston wedding. 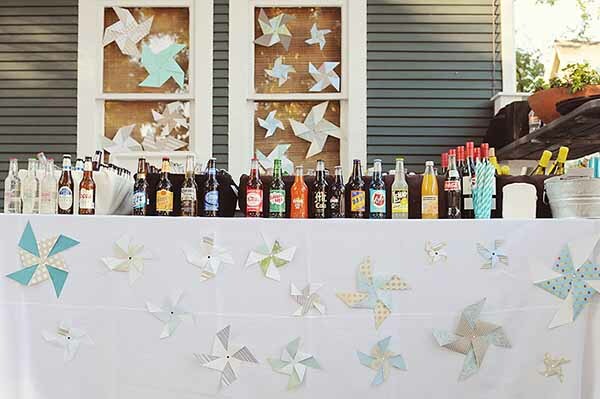 This is one of the best DIY weddings we’ve seen to date. Paper Source’s mission to inspire you to “Do Something Creative Every Day” combined with our customers’ visions make for some excellent celebrations, and we hope to continue the inspiration combination! I believe that’s Houston. Location looks like River Oaks. It has been updated. Thanks for the note! Everything was amazing. This was my sister’s wedding, and she put so much time and effort into creating her perfect wedding day. Paper Source definitely helped her with her vision. So I’m thankful to Paper Source as well. Love this! A beautifully fantastic wedding, I <3 the couple as well, haha. Thanks again to Highland Village Paper Source in Houston!! They truly helped me execute my ideas into paper!!! <3 It was really fun making and designing for my wedding! Can anyone tell me where this is?? It’s at Gardens of Bammel Lane in Houston! I’m hoping to get married there…have already toured it and everything! This is amazing designs! I would also love to see some decorations on the pool.